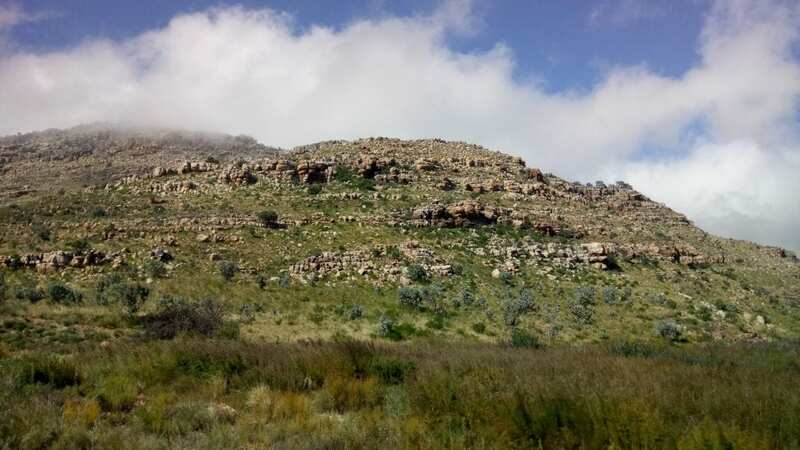 The Cederberg Wilderness Area is an otherworldly landscape of mystical stone figures, indigenous fynbos-covered hills and plains and of course, some of the most spectacular mountain ranges around. 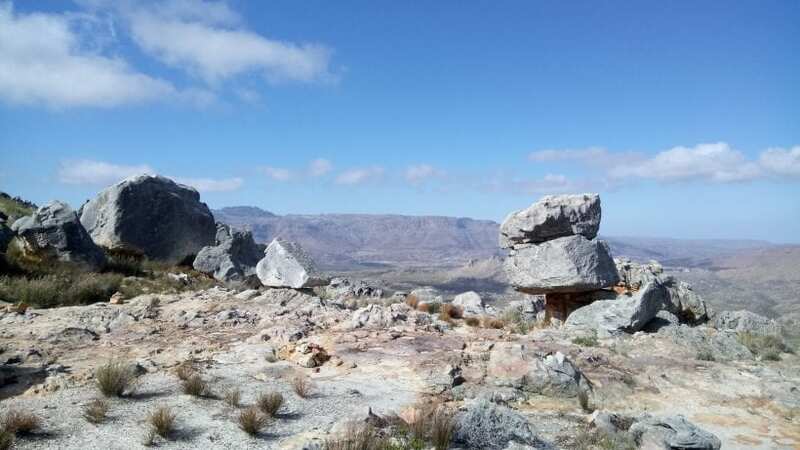 Situated some 200 km from Cape Town, the Cederberg is famed for its ancient rock art, untouched wilderness and remote beauty, which sees local travellers and foreigners alike flocking to this intensely unique, fiercely beautiful part of the Western Cape. Earlier this year, we finally had the chance to escape to the Cederberg for a weekend of pure magic, where our phones changed from instant, vibrating communication devices to quintessential cameras and sleepy, rural farm towns replaced Cape Town’s Northern Suburbs as home. 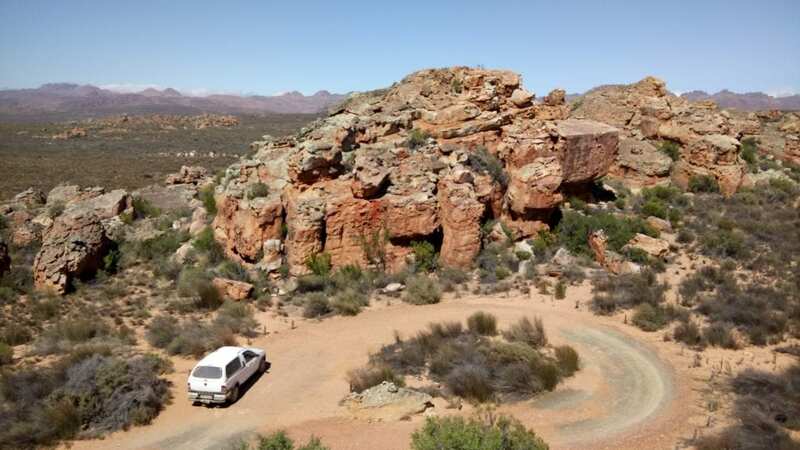 If you plan to do just one thing when you head to the Cederberg, then let it be camping! 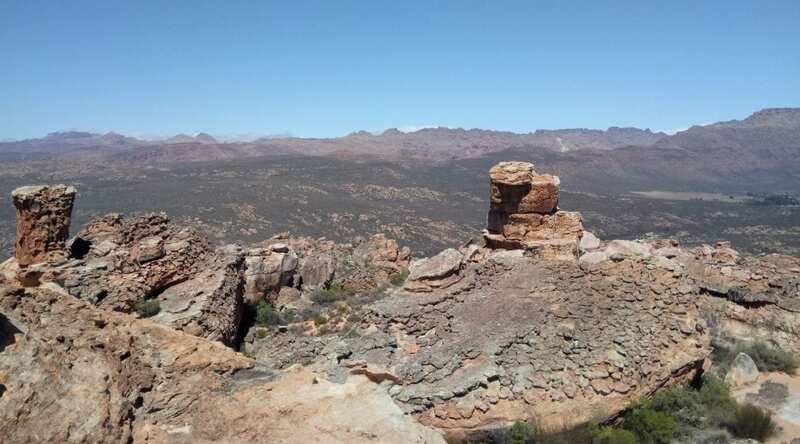 It’s the perfect way to experience these vast, pollution-free skies at night; to enjoy rustic living and natural beauty, unmarred by human interventions; and, of course, to bring out your inner adventurer, as you spend days trekking about and exploring the vast Cederberg Wilderness. ‘But what if I want a little luxury?’ or ‘Camping intimidates me’, I hear you say? Well, if that’s the case, then Gecko Creek Wilderness Lodge is well-equipped to ease all those camping jitters. They offer, among other things, safari tents (with a rustic twist – and a delightful little porch too), delicious home cooking, a communal kitchen and bathrooms and honestly, one of the most peaceful, far-removed and private accommodation escapes you’ll find in South Africa. 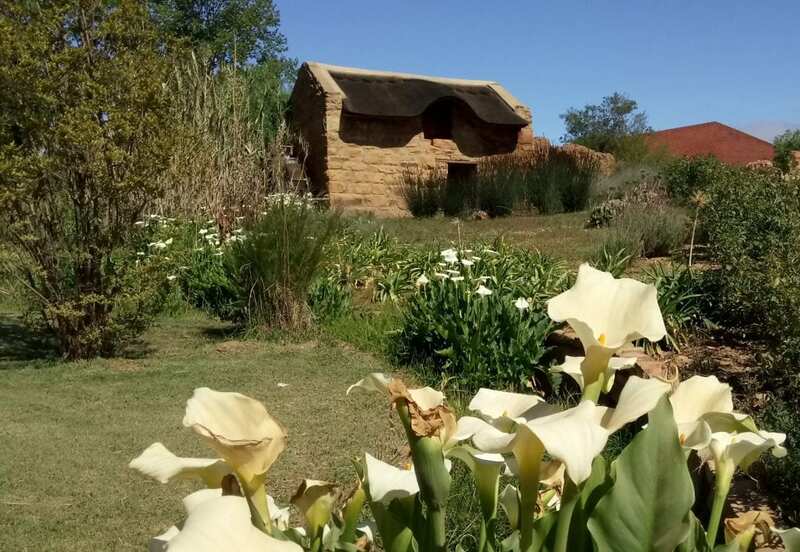 Gecko Creek Wilderness Lodge caters to our more ‘basic’ human needs, while still placing great emphasis and importance on the natural wildlife and surrounding landscape that they do so much to preserve. 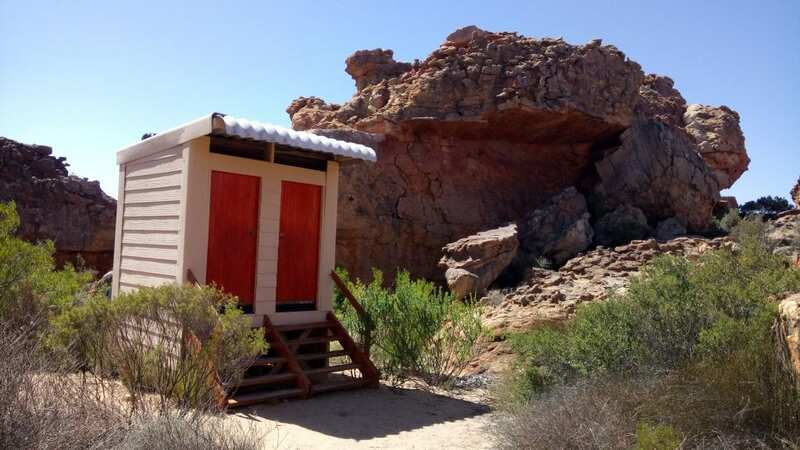 It’s as eco-friendly and fun as camping can be – and, having spent two wonderfully still, pleasing nights there, I can definitely recommend it if you’re after simple, yet enjoyable and tranquil Cederberg accommodation. 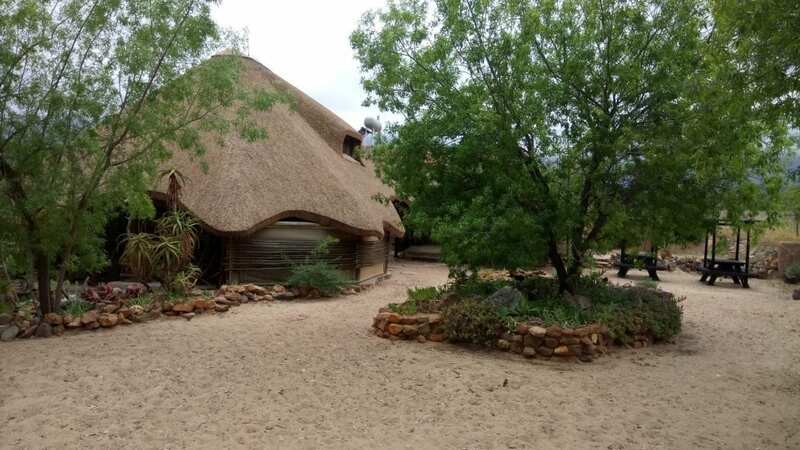 For more information on Gecko Creek Wilderness Lodge, have a look at my accommodation review. Due to severe fires, which ravaged the area in late 2016, we were sad to discover that Wolfberg Arch was (understandably) still closed off from the public to allow natural regeneration and healing to take place. 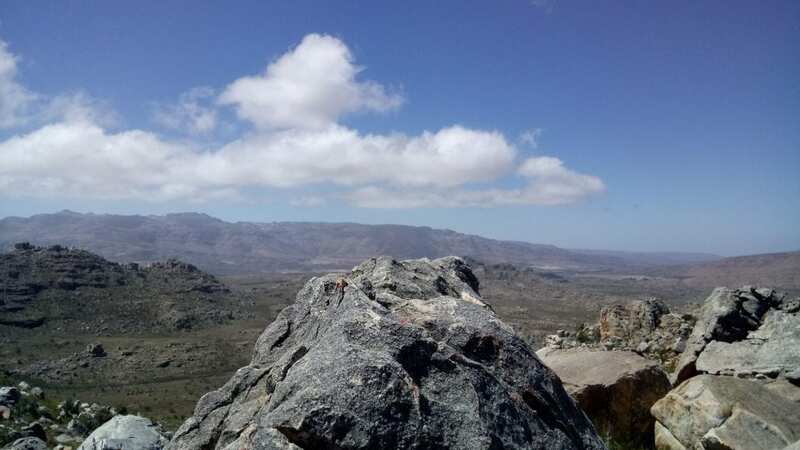 Not to be disheartened, mind, we kick-started our Cederberg adventure with another fore-planned hike: Maltese Cross. While the Maltese Cross hike requires a Cape Nature permit (which cost us R60 per adult), it is well worth the cost. 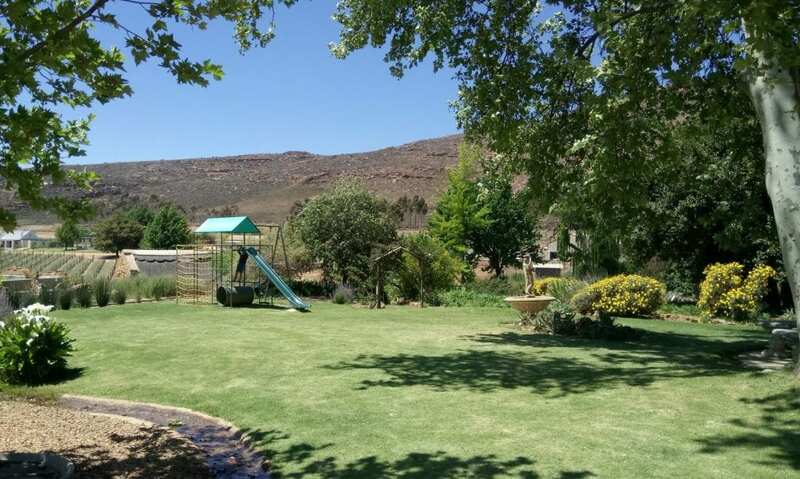 (We obtained our permit from the lovely Dwarsrivier farm shop.) Although the Maltese Cross hike isn’t the most strenuous we’ve covered to date, it is still quite tiring and in places, you are very much climbing straight up the steep mountainside – but the views are incredible all the way (up and down) and it’s a highly enjoyable and rewarding hike. The Maltese Cross hiking route can take some 2.5 to 3 hours to cover, so it is strongly advisable to pack in: a warm, fleecy jacket (it can get very chilly up there! ), comfortable hiking shoes, some health snacks and plenty of water (at least two litres to be safe). The Maltese Cross itself is a formidable, strangely isolated tower-like rock on the mountain top and the closer you get, the more imposing it becomes (although it looks like a distant speck when you first ascend the summit). In brief sections only is the hike is only moderately tiring, but the path is clear and relatively easy-to-follow, so overall, I’d say it is of an average hiking difficulty. We even saw some very young children hiking with their parents and, while I wouldn’t go that far, children older than 10 or 11 could probably easily manage the hike under careful adult supervision. 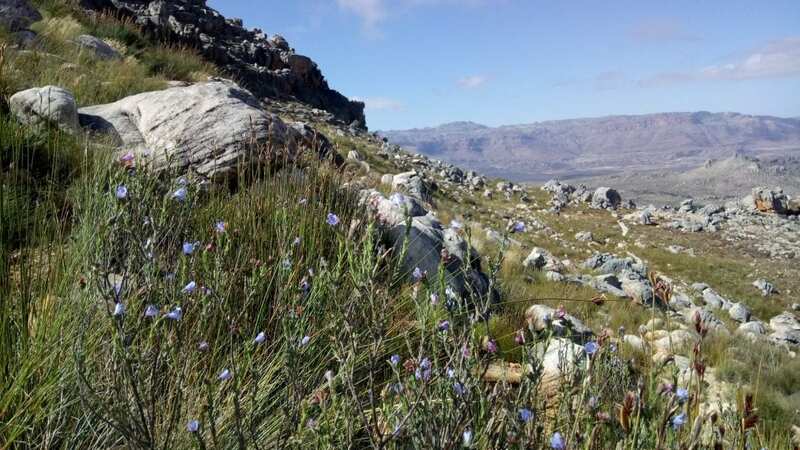 For more information on the Maltese Cross hike, please visit Cape Nature’s website. 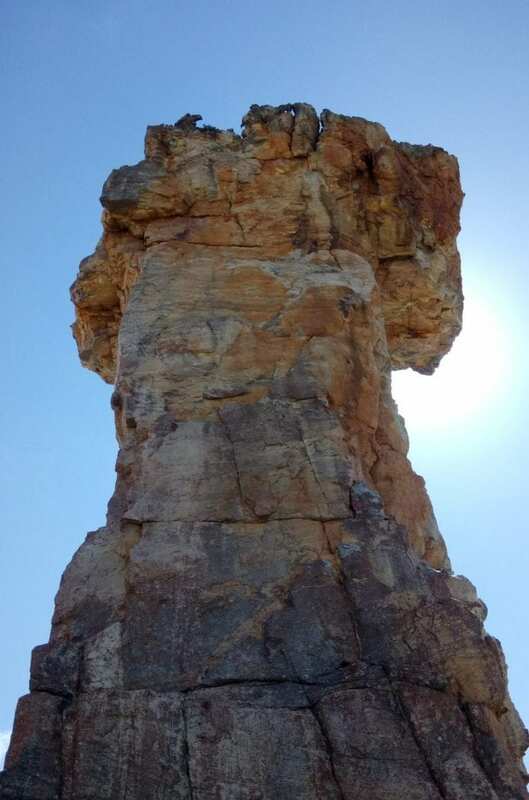 One of the things that the Cederberg is most famous for is its amazing, well-preserved San rock art paintings, which adorn so many of the rock formations and caves. On our way to visit the awesome Stadsaal Caves (again, you will need a Cape Nature permit and code combination to access this area), we made a crucial stop at one of these protected sites. Here, after a little scramble, we discovered some amazing, richly coloured elephant paintings delicately drawn onto a small, shaded rocky outcrop. 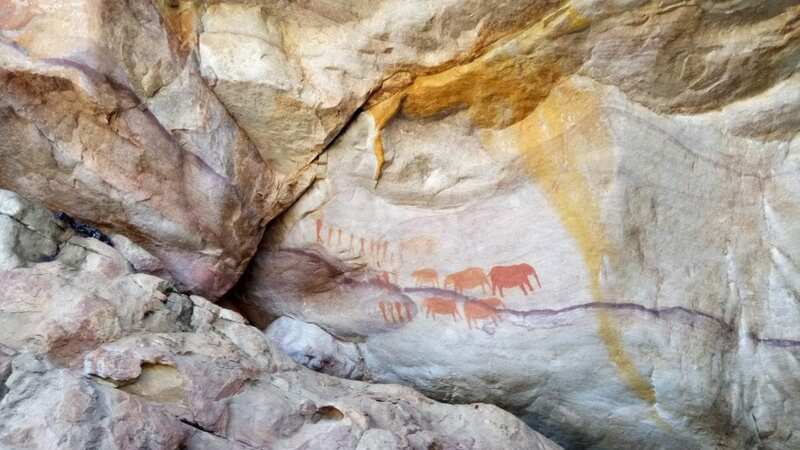 These elephant paintings had us staring in amazement for quite some time, for, although experts claim these San bushmen paintings are at least 1000 years old, they are as clear as day even now. As legend goes, the paintings were drawn by inspired San shamans and were painted using a soft rock called ochre (which can be red, yellow or maroon in colour). The paintings apparently last so well because this powered ochre blends with the natural rock. I couldn’t tell you what the paintings were originally intended to depict (although nearby signage provides some theories), but it was a special experience for us. 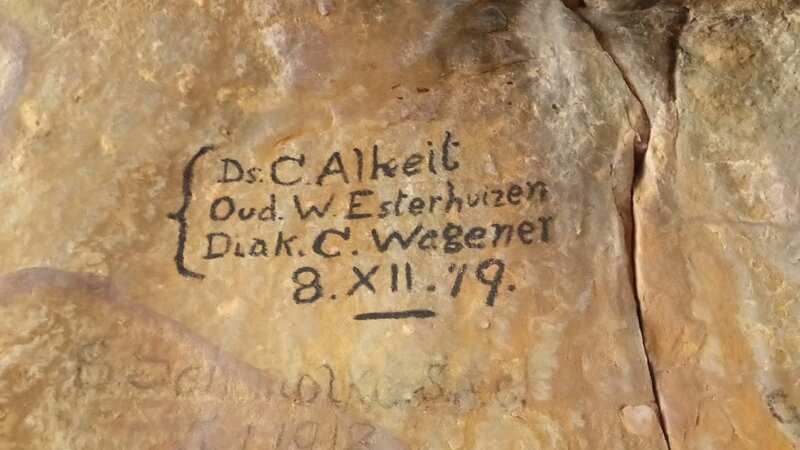 For more information on the Stadsaal rock art, please see Cape Nature’s website. 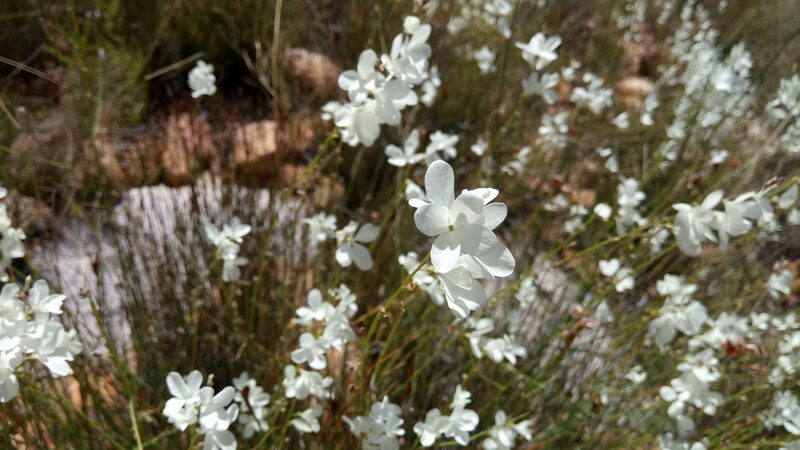 This amazing area can go from being lush and heavy, with fruit-bearing trees outside Citrusdal, to desolate and rugged, or showcasing beautiful mountain fields – thick with white flowers waving at you through a curtain of cloud – the next. 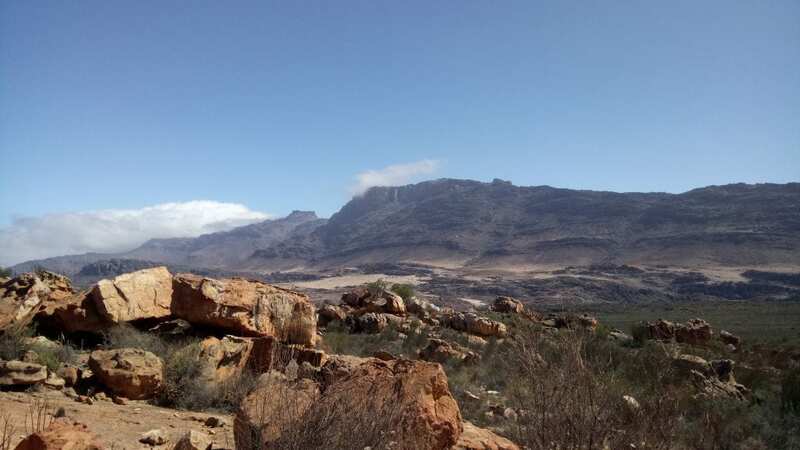 Its otherworldly, changing landscapes are incredible – so, whether you drive it (be forewarned: these roads are not for the fainthearted, nor for finicky, fancy cars) or hoof it, be sure to explore the Cederberg Wilderness properly in an intimate, in-depth way. In all likelihood, you’ll end up tired (in the best way), dusty and possibly even scratched thanks to the raggedy shrubbery – but, in spite of this, you will feel far more alive as a person. 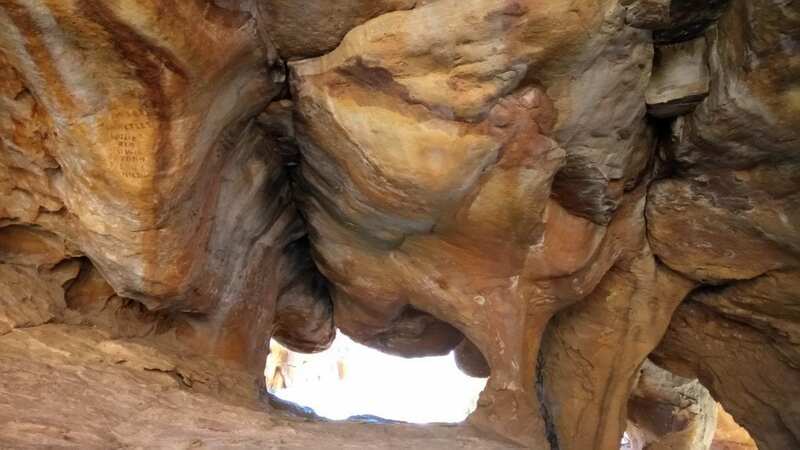 The Cederberg Wilderness Area offers a lot of amazing sights but one of our favourites was undoubtedly the labyrinth of cave tunnels and networks we unearthed at the curiously mesmerising and altogether amazing, Stadsaal Caves. Translated to mean ‘City Hall’ in English, the Stadsaal Caves are a wonderful maze of twisted nooks, crannies and tunnels that feed into each other. While some are properly closed in and soon come to a dead-end, the main Stadsaal Cave is a spacious area ideal for exploration; indeed, it’s a truly historic and humbling place. As we played with different light settings – trying to capture the prehistoric, timeless beauty of these oh-so-smooth, clay-coloured caves – we took time out to lightly read over the cave’s handwritten scrawls. Some date as far back as the early 1700s, while others were penned during the dreaded apartheid days, intended as a political statement of sorts. Thereafter we furtively enjoyed exploring every amazing inch of the place in total seclusion before other visitors eventually joined up with us. The Stadsaal Caves are jaw-droppingly beautiful and awesome – and I would highly recommend visiting them, especially since there’s no hiking required, only a short walk from the car park. Note: There’s even a long-drop toilet neatly placed in the middle of the rock formations to jolt you back to reality… We found this both humourous and surprising. In order to visit the Stadsaal Caves, you will require a Cape Nature permit. We purchased ours from the Dwarsrivier farm shop for R40 per adult. For more information on the Stadsaal Caves, please see Cape Nature’s website. 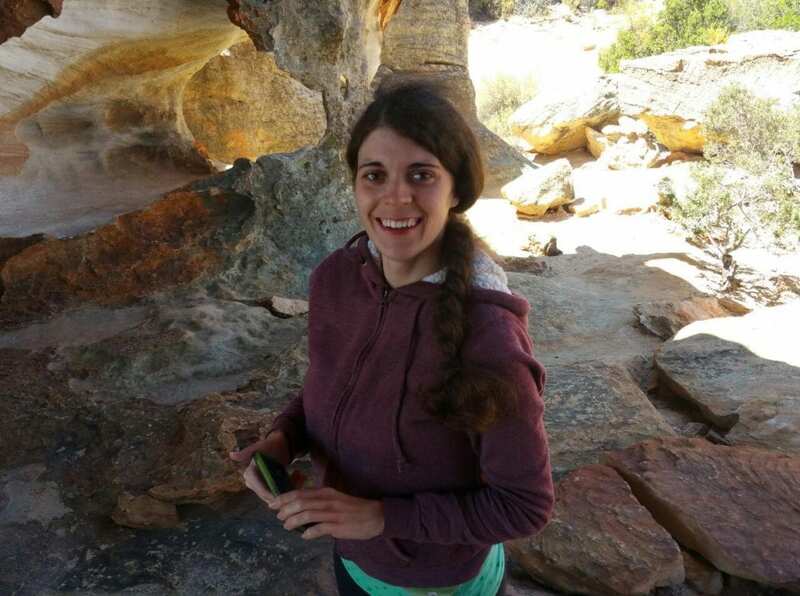 As I mentioned earlier, we were unable to tackle the crowning glory of the Cederberg: the 8-hour hike to the Wolfberg Arch and Cracks. 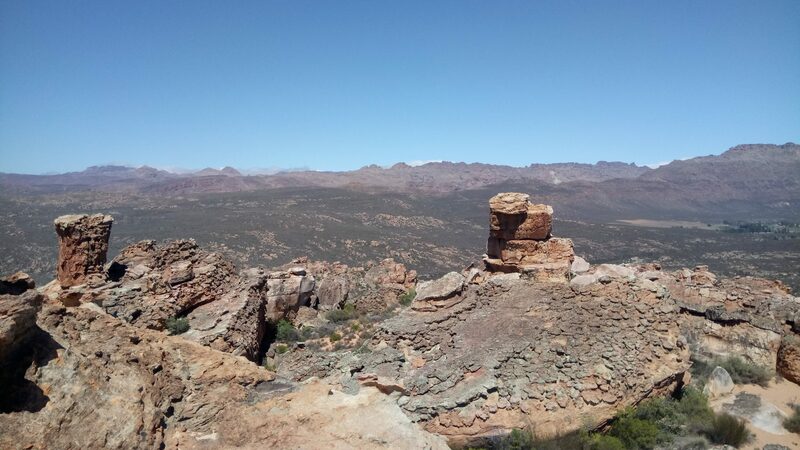 When the hike is re-opened to the public, we’re keen to go to the Cederberg again sometime and make our way up to the trying Wolfberg Arch and Cracks ourselves – but until then, we’re pleased to have seen it, even from so far away. For more information on the Wolfberg Arch and Cracks, please see Cape Nature’s website. You can find literally anything in the Cederberg and I mean anything… Including the Western Cape’s highest lying vineyards (some 1100 metres above sea level) and quite possibly its most secret wine estate… If you’re looking for old-world rural charm and wines with ‘altitude’, then Cederberg Wines is the wine estate where you’ll find all this and more. 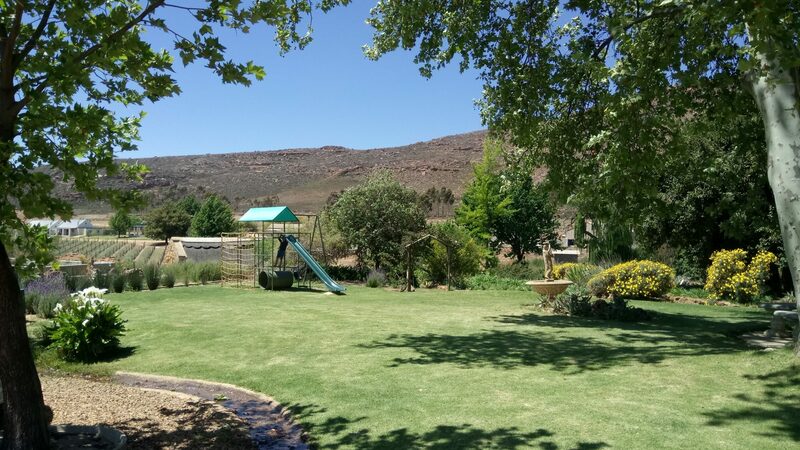 Situated on the foothills of the Cederberg’s highest peak, Sneeuberg, Dwarsrivier farm (where Cederberg Wines grapes are cultivated) is a wonderful find, spectacularly located atop lesser mountains. 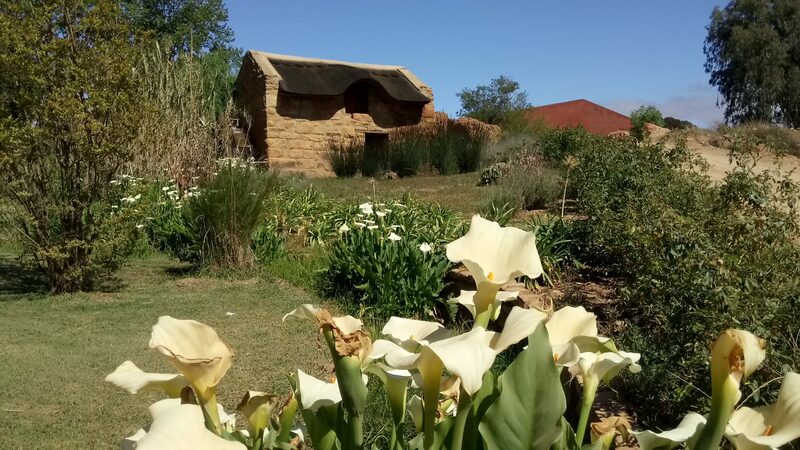 This beautiful, old farm offers the dreamy holiday resort of Sanddrif, the cheerful Dwarsrivier farm shop (ideal for stocking up on food supplies, obtaining hiking permits and buying Cederberg Wines ) – and even its own surprisingly modern, elegant-looking Cederberg Private Cellar. At the Cederberg Private Cellar, visitors can enjoy lovely wine tastings in a beautifully charming setting. And, while you’re there, be sure to check out the gorgeous farm garden and tranquil, old water mill. 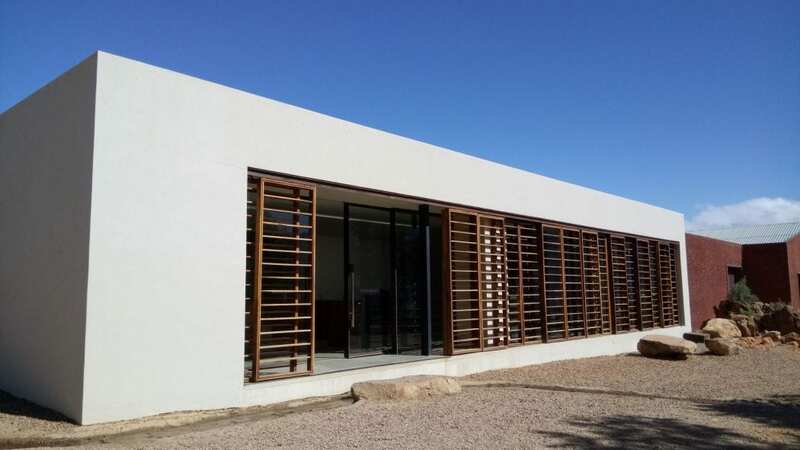 For more information on Cederberg Wines and their Private Cellar, please visit their website. While there is so much else to discover and enjoy in the Cederberg, this wraps up my seven best things to do in the Cederberg… at least for a first visit. And for me to tell you that it was a wonderful, almost life-changing experience, somehow just doesn’t quite do it justice. Because, you see, the Cederberg is everything you’ve ever been told it is – and so much more… and therein lies the true magic of this wonderfully preserved wilderness haven.